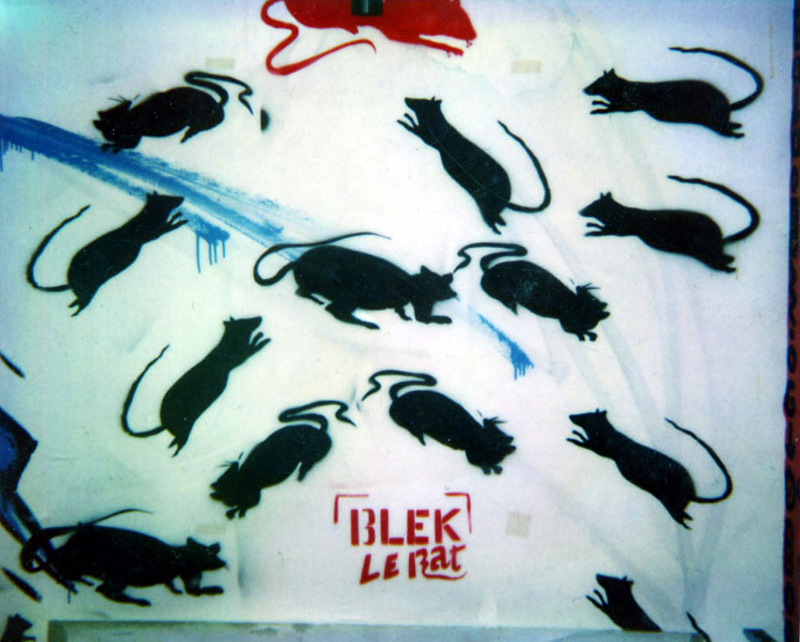 Who is Blek Le Rat ? 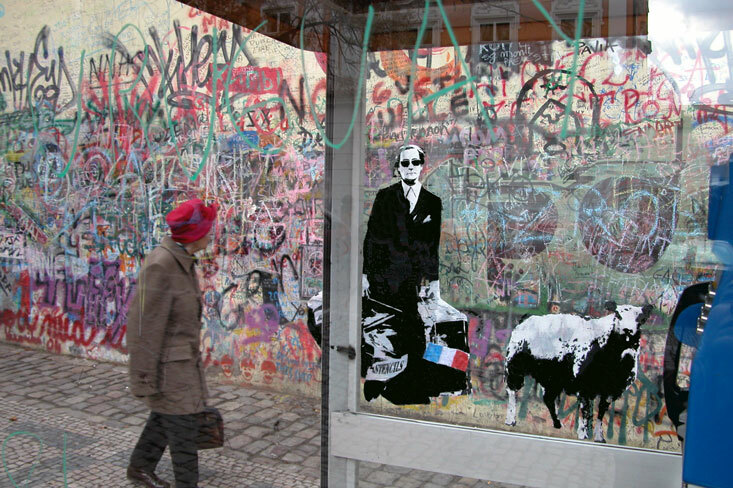 Blek le Rat, born Xavier Prou in Boulogne-Billancourt, Paris in 1951, was one of the first graffiti artists in Paris, and the originator of stencil graffiti art. 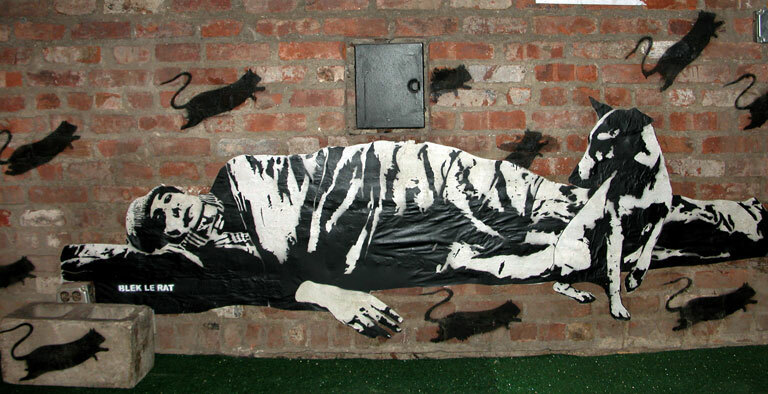 He began his artwork in 1981, painting stencils of rats on the street walls of Paris, describing the rat as “the only free animal in the city”, and one which “spreads the plague everywhere, just like street art”. His name originates from a childhood cartoon “Blek le Roc”, using “rat” as an anagram for “art“. Initially influenced by the early graffiti art of New York City after a visit in 1971, he chose a style which he felt better suited Paris, due to the differing architecture of the two cities. He also stated the influence of New York’s Richard Hambilton, who painted large-scale human figures in the 1980s. 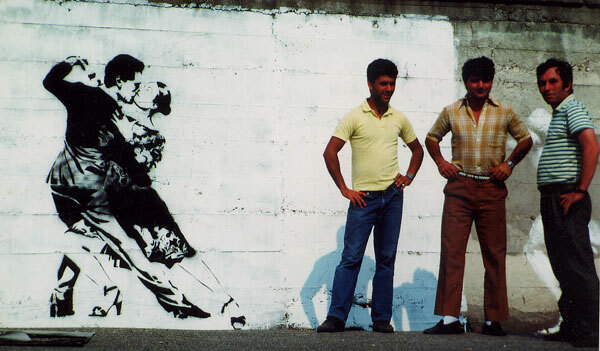 Blek is credited with being the inventor of the life-sized stencil, as well as the first to transform stencil from basic lettering into pictoral art. 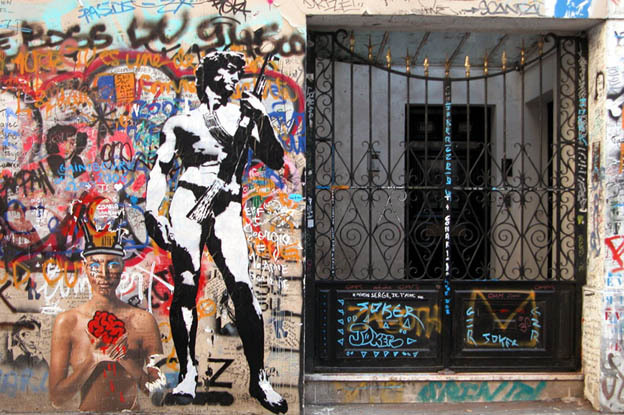 Blek’s identity was revealed to French authorities in 1991 when he was arrested while stenciling a replica of Caravaggio’s Madonna and Child, with the connection to Blek and his artwork being made by police. From that point on, he has worked mainly with pre-stenciled posters, citing the speedier application of the medium to walls, as well as lessened punishment should he be caught in the act. He has had a great influence on today’s graffiti art and “urban art” movements, the main motivation of his work being social consciousness and the desire to bring art to the people. Many of his pieces are pictorials of solitary individuals in opposition to larger, oppressive groups. He has also been noted for his series of images representing the homeless, begun in 2005, which depict them standing, sitting or laying on sidewalks, in attempts to bring attention to what he views as a global problem. 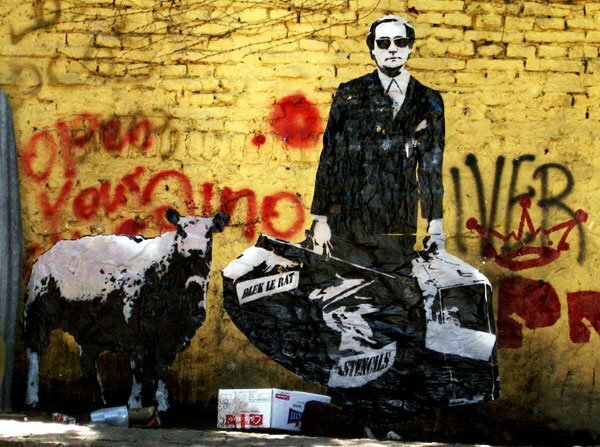 All information about the Great Street Artist Blek Le Rat is from his website.